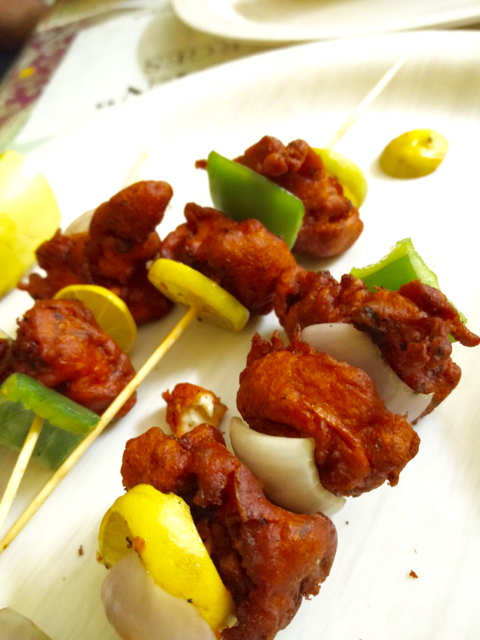 Iftar in Hyderabad is everything it is cut out to be! While in Bangalore, there are places dedicated for food, here there are pockets where there is everything. Food, clothing, jewellery, accessories etc. Multiple such places all over the city and more so towards old city! At 11 pm, it took us a long time to reach Charminar, the epitome of Hyderabad! But it was worth every bit of it just to see the culture! 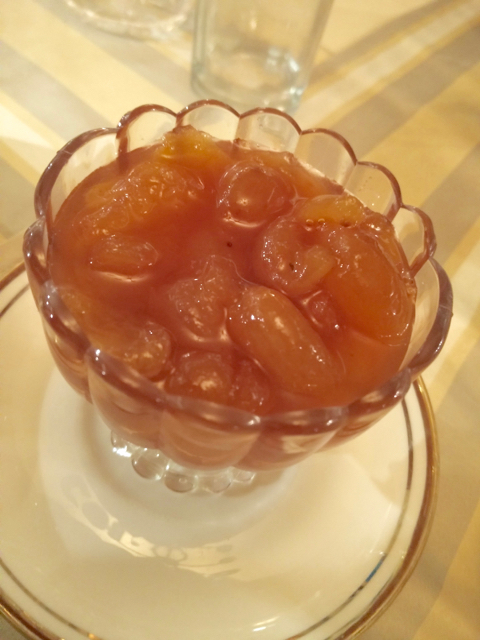 However, my iftar started off with Sarvi! My local Hyderabadi friend said that all of his friends like Sarvi and that is why we started off there. So, basically, Hyderabad has three main varieties of haleem. The Irani Haleem, the Pista house haleem and Old Style (traditional?) haleem! Sarvi was the Irani type and boldly mentioned all over! 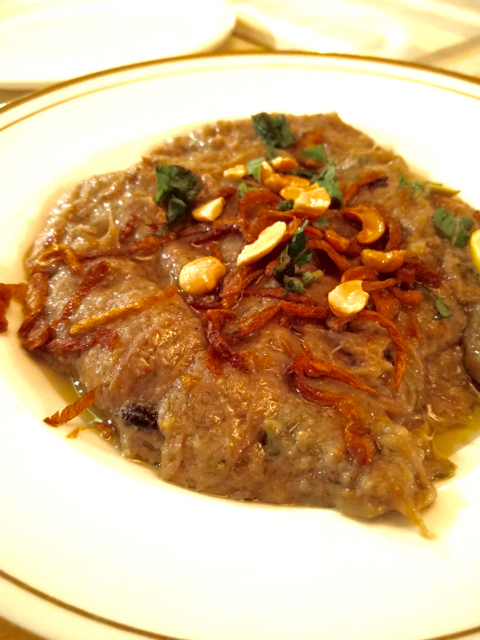 Irani Haleem was darker than the traditional haleem! Nice depth of flavour, the usual nuts and bolts on top and yummy. But bones! Yes, lots of it. Every plate has about 3 large bones and a few small bones. I thought haleem in Hyderabad is boneless based on eating from their households a few years back! The Qubani Meeta though, is simply brilliant in Hyderabad! Lots of minor variations, but all of them were quite nice. We left and came down to the Sarvi Tea Stall that served the famed Irani Chai. Nothing great about it, but it is a nice glass of sweet chai! 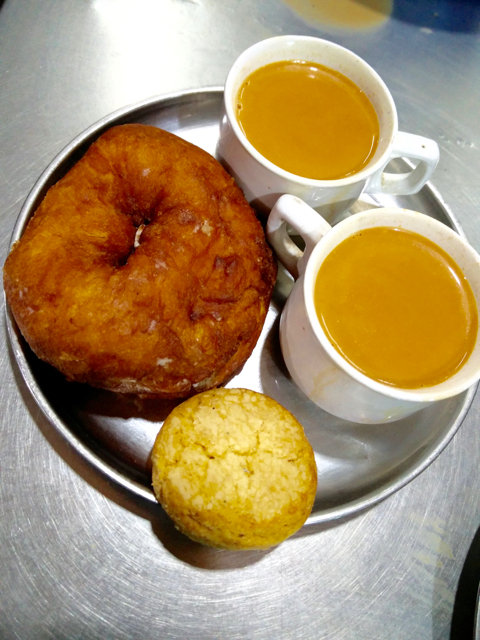 The Osmania biscuits, the other Irani thing was a nice accompaniment to it! But two other dishes were fantastic. 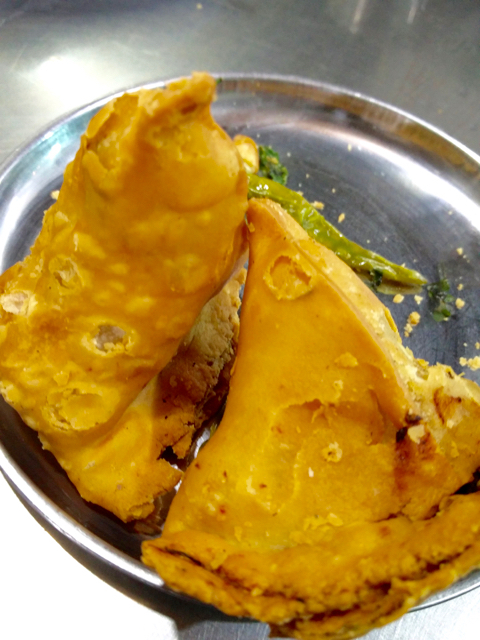 The Samosa and the sweet bun! I don't know what made the samosa so nice, but it was really really nice! The sweet buns were just as nice and dip it in the Irani chai and it was nice and heavenly for the post fast tummy! The two haleems and one Qubani meeta for 2 of us came to Rs. 510. Chai is 25 bucks, samosa 20 and bun is Rs. 12. Next stop was the home of a Hyderabadi friend in Medinapet who has been cooking Haleem for the past 10 years and selling them on the streets of Hyderabad! They hate the Sarvis and Pista Houses! They feel that these guys have killed the original haleem and have totally commercialised it. Since I went late, they had already broken fast, but hadn't had much food and they started after I landed there. I had already eaten and felt bad for them, but they were really gracious! I had the chicken kebab on skewers!!! Yummy yummy yum. Do not underestimate the small street shops serving Iftar, especially in the old part of Hyderabad! 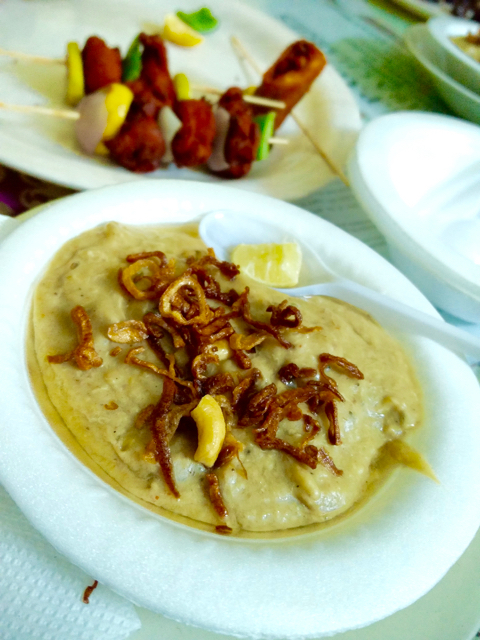 Then came the haleem and it was distinctly different! The colour was a lot lighter, flavour of lamb a lot stronger, the amount of nuts a lot lesser and the amount of ghee a lot more! That is like a completely different meal! And this too had bones! While we were guests, it is priced at Rs. 110 for a plate for the outsiders. Had to attend a meeting at 930 and so we stepped out at about 11 pm for our next stop. Charminar and the original pista house. En route, we saw many pockets active and super busy at night. Every pocket had food along with the clothes and stuff! We landed at Charminar and walked and had sugar cane juices and some snacks along the way! As we reached Pista House, the haleem was sold out! Not wanting to eat the packed haleem from Pista House available in a few shops, we had lots of Qubani Meeta, equally but differently yummy!! Fresh Haleem from Pista house was on the table the next evening and I can understand why the family in Medinapet hates it. While it was definitely tasty, it was a lot more wheat, a lot less lamb and definitely very commercialised! This trip to Hyderabad was an eye opener to a lot of things in Hyderabad, but the biggest takeaway is that Hyderabadi Haleem has bones in it! The Chennai 5 star hotels haleems are way more brilliant!